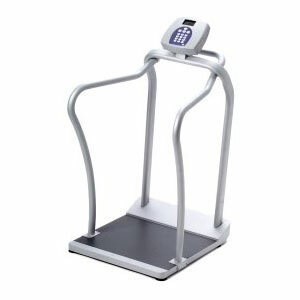 When patients are less mobile Health O Meters' ProPlus™ Stand-On Scale with built-in wheels moves easily to them. Extremely durable and safe, the easy grip handrail and non-skid platform provide added support to unsteady patients. Platform Dimensions: 26" x 24 1/4"
Product Dimensions: 30" x 28 1/2" x 47 1/4"